Multi-Use Medical Waste Collectors BUY 3.3 Quart Medical Waste Collection, Becton Dickinson Sharps Collectors, 305488, Sharps Collectors. Multi-Use Medical Waste Collectors are designed to meet the needs of a variety of clinical settings. Multi-Use Medical Waste Containers offer a temporary closure and a final closure. The temporary closure is useful for in-between usage and intermediate transportation. Final closure is used for disposal. 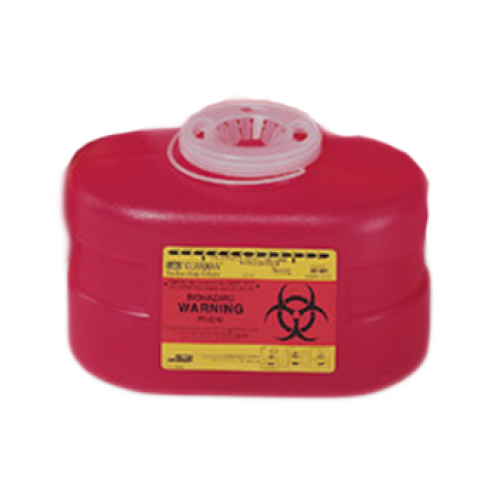 Multi-Use Medical Waste Collectors provide 3.3 quarts of content capacity. 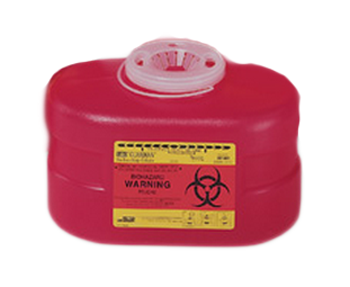 This Sharps Container is red with regular funnel entry. Manufactured by Becton Dickinson, these Medical Waste Containers offer convenient, vertical "point first" drop disposal. These robust sharps collectors are pre assembled with a patented one-way funnel valve to help prevent needlesticks and overfilling. BD Becton Dickinson Multi-Use Medical Waste Collectors Product Number: 305488.